US indexes continued to pull up and away from the sp'1904 low of Aug'7th. 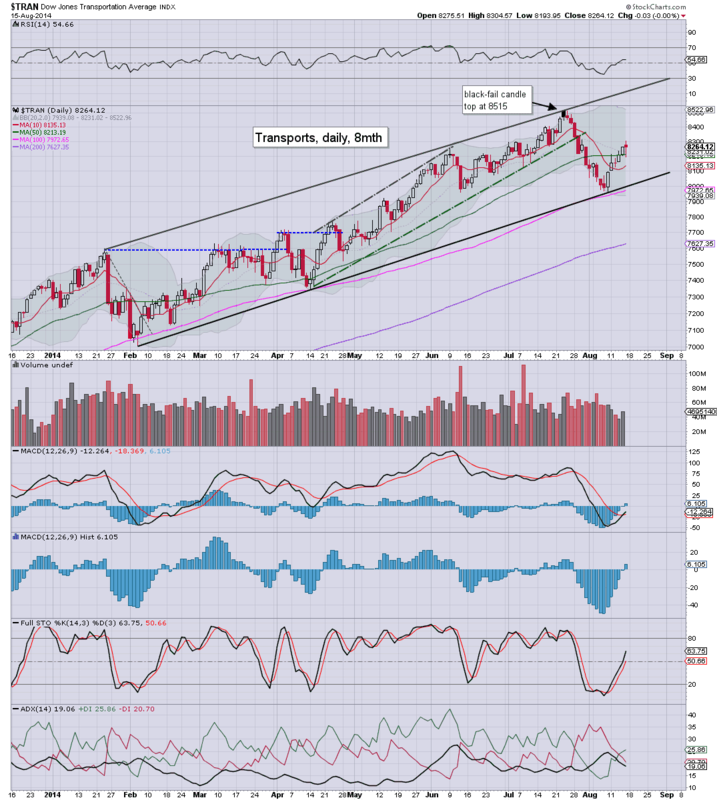 Net weekly gains ranged from 0.7% (Dow), to 2.1% (Nasdaq Comp' & Transports). Outlook into September is broadly bullish, with new historic highs viable for most indexes. 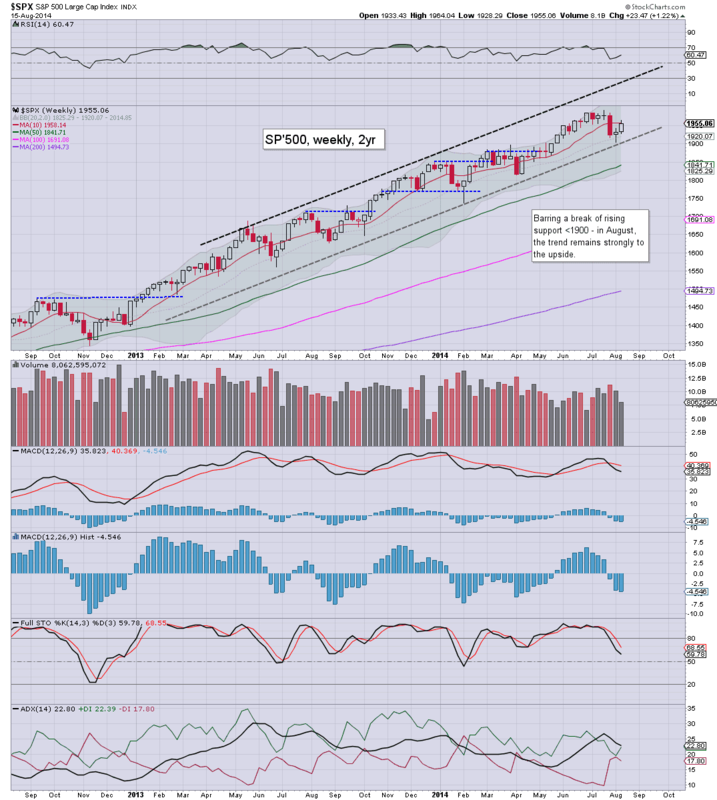 A second consecutive week higher for the sp'500, with a net weekly gain of 1.2%. The 1904 low is now 2.5% lower. Underlying MACD (blue bar histogram) ticked lower for the sixth week, whilst the full stochastic is offering a turn at the 50 mid point. Equity bears can't have any confidence that a key top is in, unless 1904 is taken out. Even then, a hit of the lower weekly bollinger band (which will be in the low 1830s next week) needs to be attained to clarify the bigger picture. 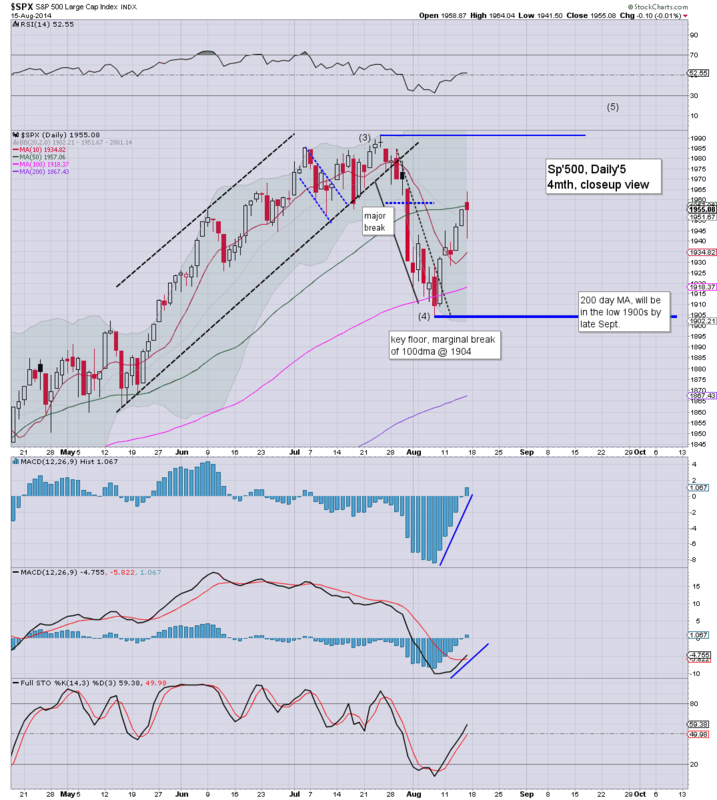 It is notable that by end September, bulls need to be trading >1950, to keep the broader upward channel intact. The tech' is within just 0.5% of the post 2009 highs of 4485. A move into the 4500/600s looks likely in the near term. Equity bears need to break below 3900 to have any confidence that a key multi-month top is in. 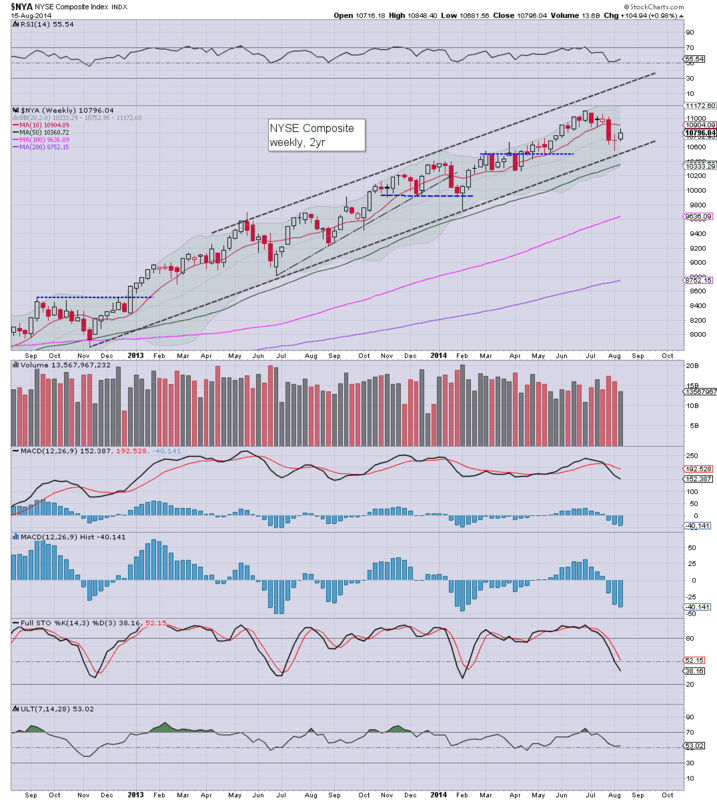 The mighty Dow gained a moderate 0.7% this week, with the third consecutive weekly close under the rather important weekly 10MA. Indeed, bulls need to break back above 16900 to offer hope of new historic highs this September. The master index gained 1%, the first weekly gain in a month. Bulls need to re-take the 11k threshold within the next few weeks. There is viable upside to the 11300s in September, which would likely equate to sp'2040. 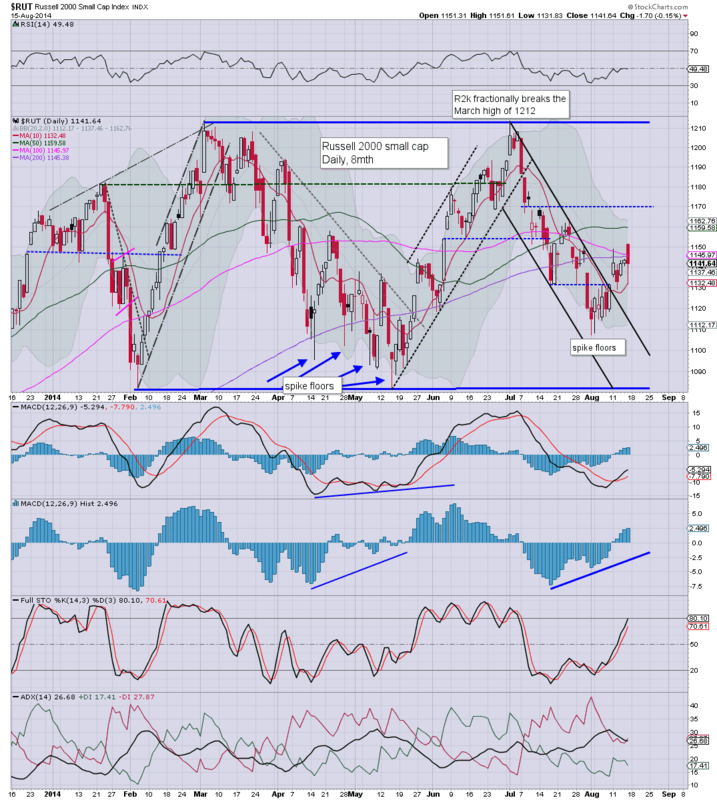 The R2K has really struggled since March, and remains a real problem for the broader market. This was the fifth weekly close below the 10MA, and new historic highs look unlikely, even if sp'2000s in September. Equity bears just need to break 1080, which will offer a swift decline to the giant 1000 psy' level, if not the low 900s (if sp'1700/1600s). The 'old leader' continues to lead, with a rather impressive net weekly gain of 2.1%. 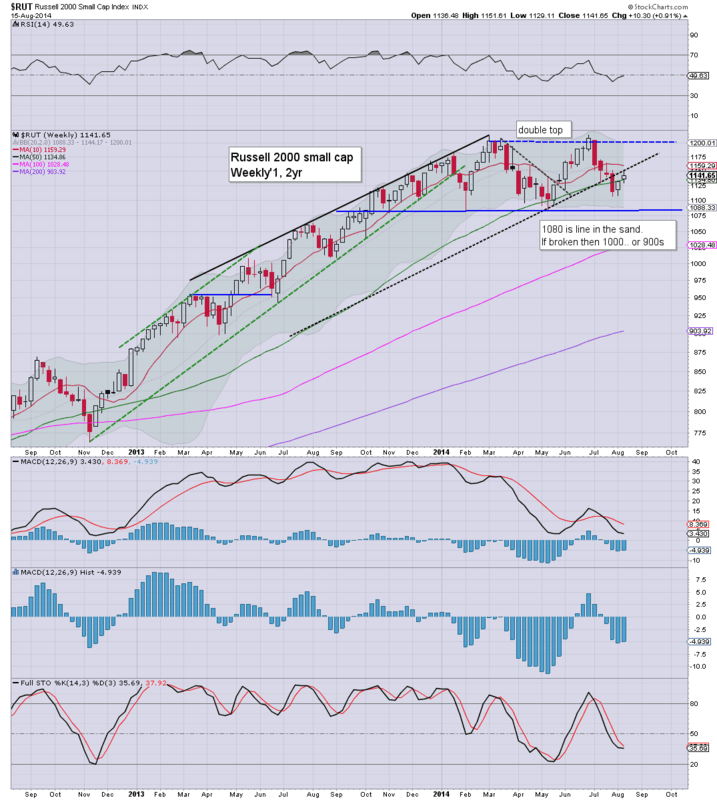 A weekly close above the 10MA was attained, with viable upside to the 8500/700 zone in September. 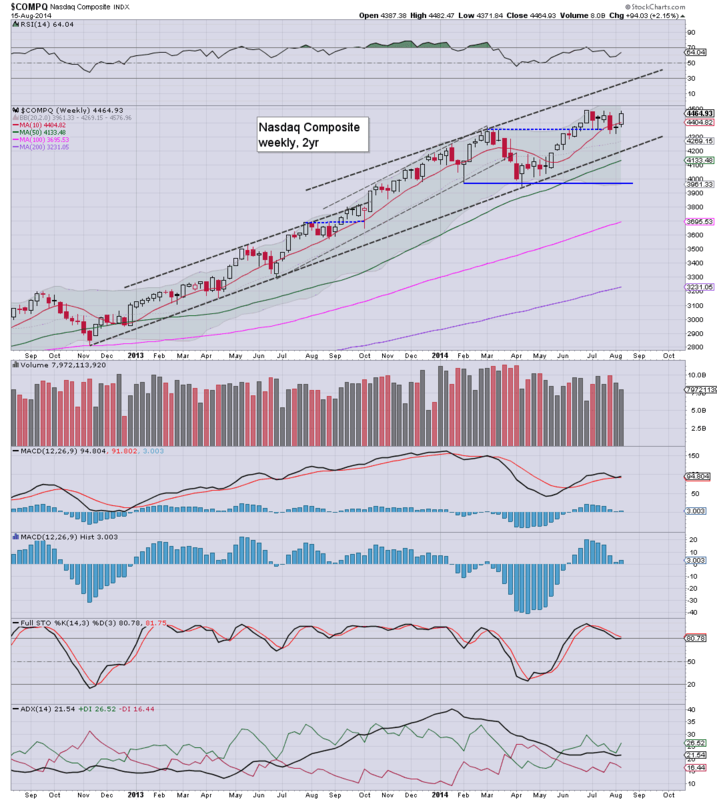 So.. net weekly gains for all indexes. 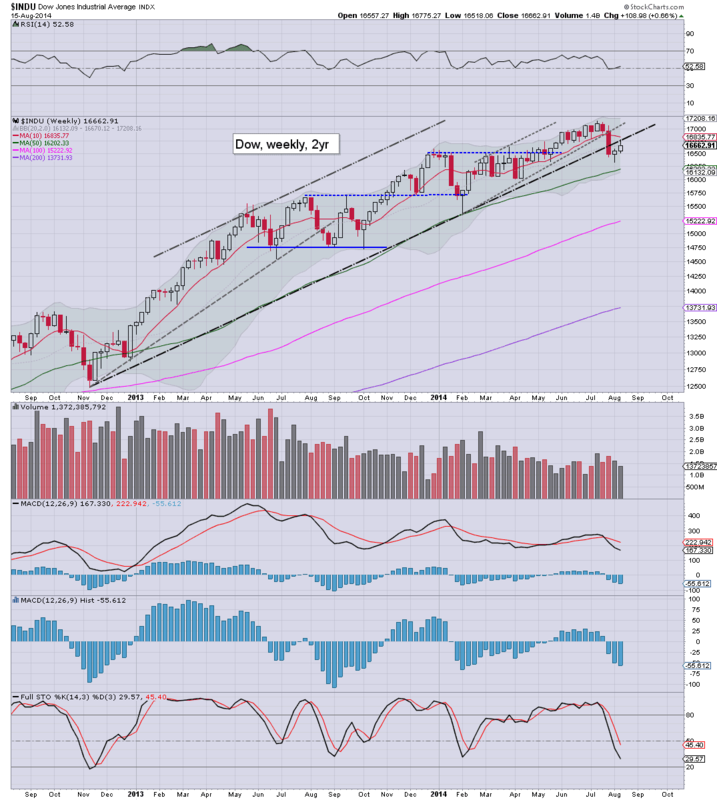 The R2K and Dow remain notably weak, but even they have fair potential for continued upside into September. In the scheme of things, next week is very quiet. The only major issue is Friday morning, when Yellen will be talking at the infamous Jackson Hole. No doubt the media will give it some serious attention, and there will be high risk of the equity market climbing into the weekend. Fri' - Yellen @ Jackson Hole. It was a pretty good week for yours truly. 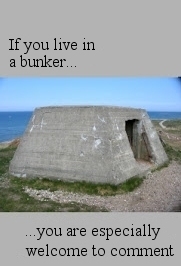 Just two trades, both on the long side, 1912-41, and then 1937-62. 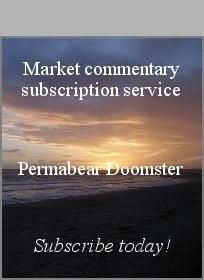 Unless price action changes, along with much more 'spooky' news from the Ukraine, I'll be seeking to go long again next Monday. Best case downside looks to be somewhere in the sp'1930s, which would probably equate to VIX in the mid 15s. 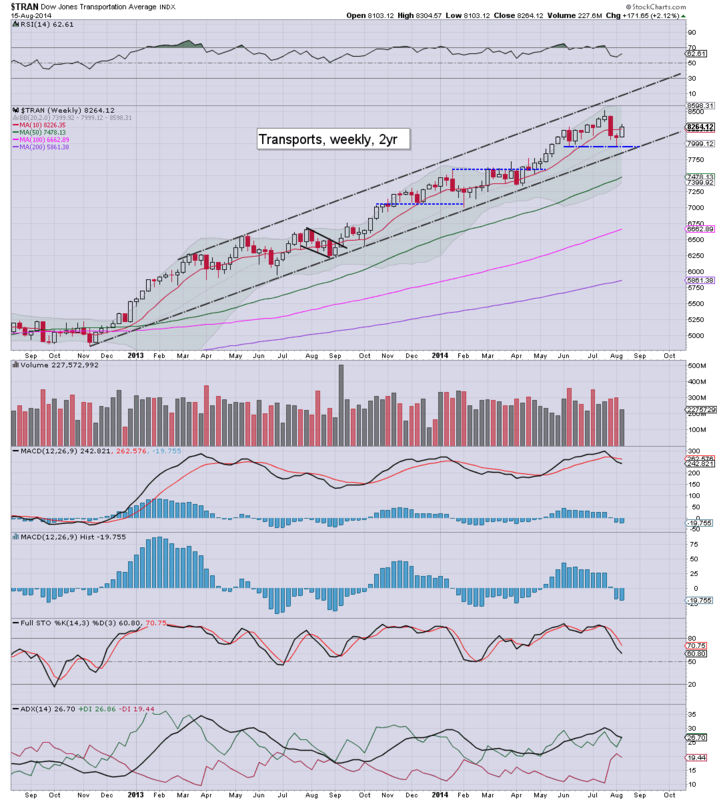 From there, a weekly close in the 1970s looks just about viable. Best guess for September remains sp'2030/50 zone...before a major multi-month decline. Despite the market being spooked by further Ukrainian news, US indexes all saw net weekly gains, sp +23pts (1.2%) @ 1955. 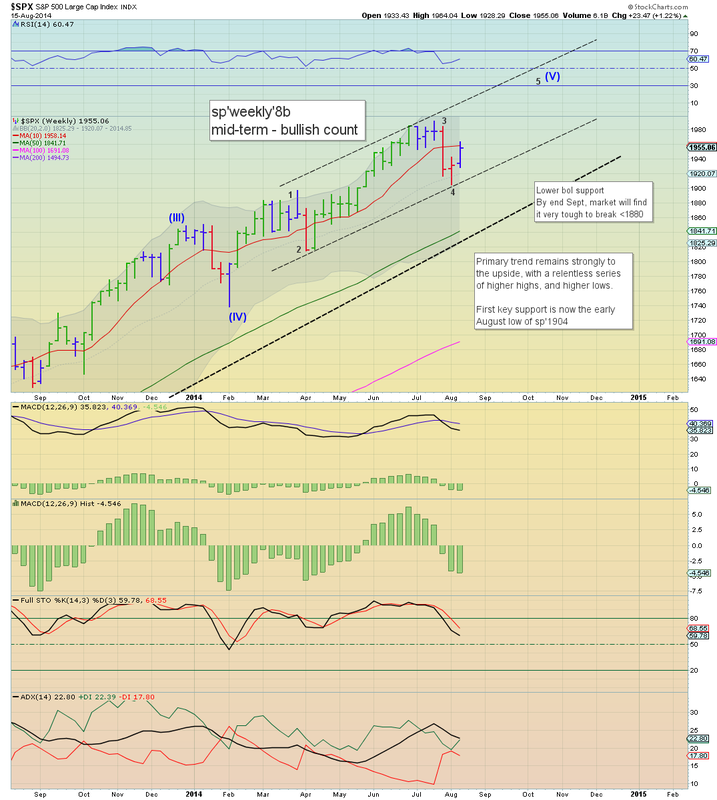 Near term outlook offers the 1930s, before resuming higher into the 1970/80s next week. With the break into the 1960s this morning, the weekly 'rainbow' candle turned from blue, to an outright bullish green. Of course, the market mood certainly changed with the latest Ukrainian news this morning, but the closing blue candle offers a pretty good confirmation that we have a key floor at sp'1904. The fact we already broke above the 50 day MA of 1956 is a further good sign that new historic highs - into the sp'2000s, are likely in the weeks ahead. 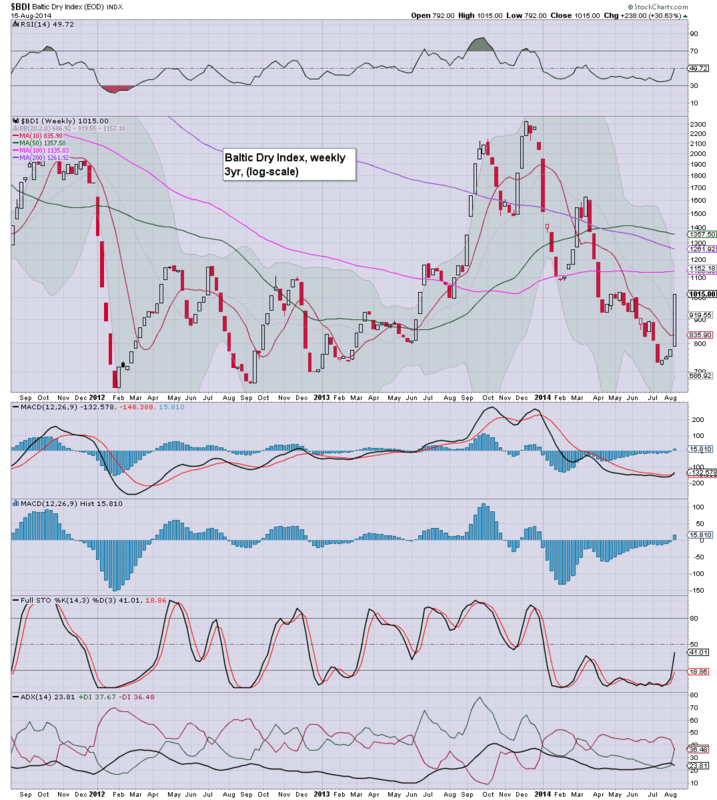 A huge 30% gain in the Baltic Dry Index this week, back into the 1000s. Next upside is the 1200/1300 zone. This is no doubt why shipping stocks like DRYS managed very significant weekly gains of 11.9%. US indexes closed the week on a fractionally down note, sp u/c @ 1955 (range 1964/41). The two leaders - Trans/R2K, settled u/c and -0.1% respectively. Near term outlook is for further downside on Monday, before resuming higher.. into the 1970/80s. So.. a bit of a messy day to end what was a bullish week. The daily candles are of the bearish engulfing type - although with the sp/Trans closing essentially flat, its not an especially bearish close. 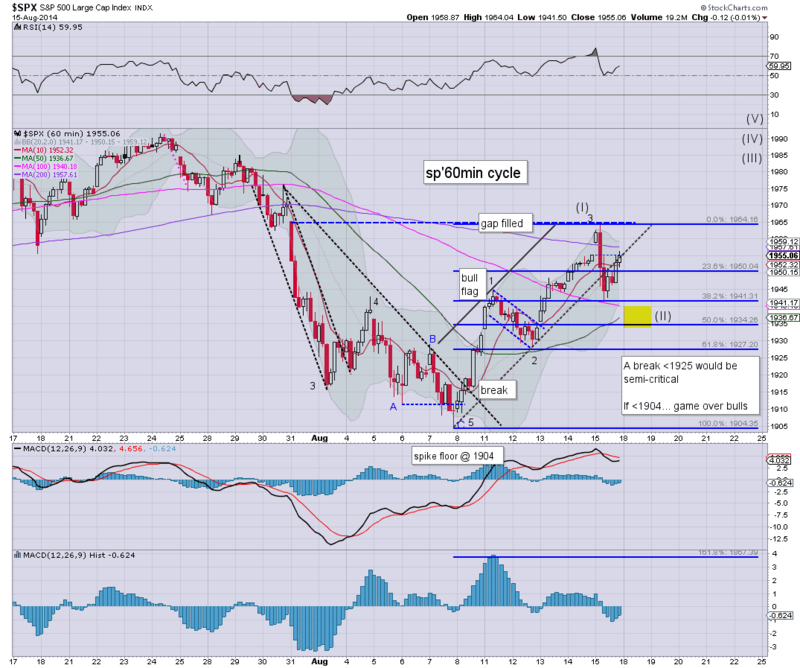 All things considered - not least the smaller 15/60min cycles, market looks set for the sp'1930s...before the 1970s.